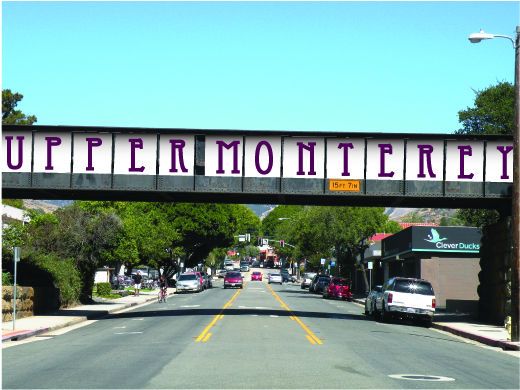 my buddy Zazz sent me this mockup of his idea for the upper monterey st. RR trestle in San Luis Obispo, CA. Pretty cool idea. It sure would give that neighborhood some identity!